Mary Lisa Piseczny, USA, has created these sweet candy wrappers. The candy bars are the small bite-sized ones (.49 oz). 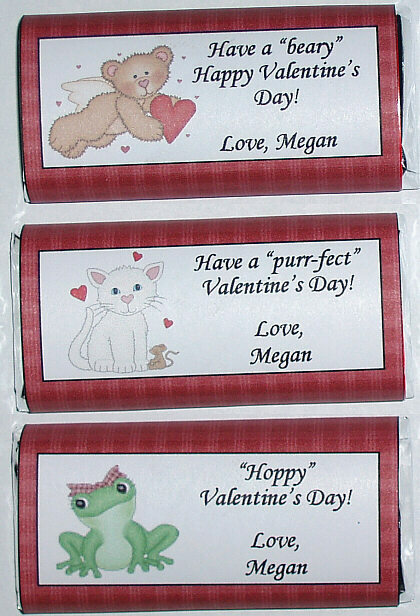 She used graphics from 'Craft Clipart 19: Love/Valentine', 'Craft Clipart 15: Cats' and 'Craft Clipart 2: Frogs'.